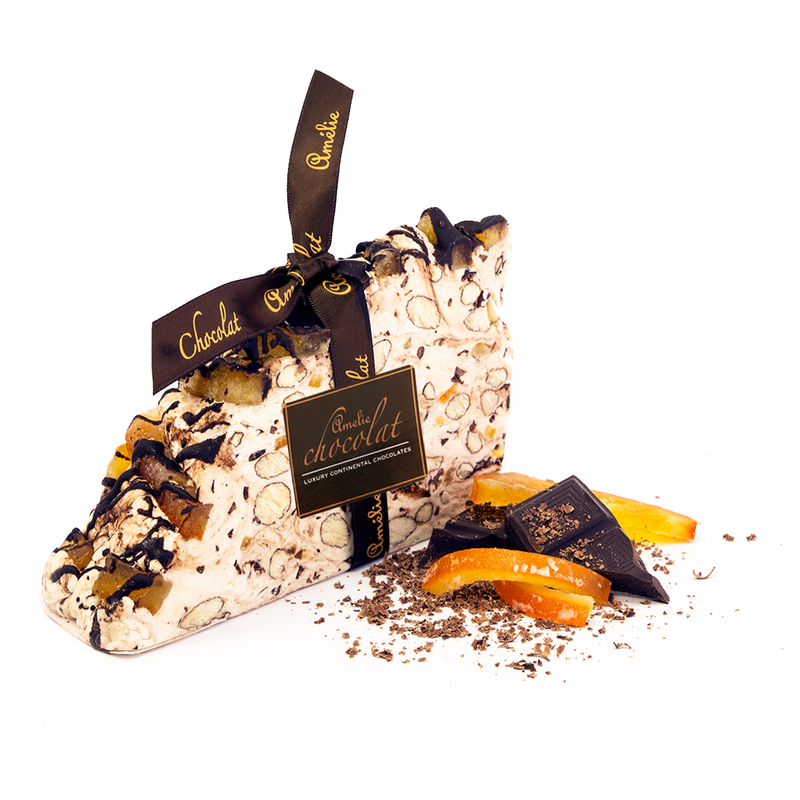 Click the button below to add the Orange and Chocolate Italian Nougat to your wish list. Indulge in a truly Continental experience ... deliciously soft Italian nougat is made from a recipe that has been meticulously passed down through 3 generations and born in the province of Bergamo in Caravaggio, Italy. The exquisite almond nougat is combined with ripples of delicious chocolate and real glazed orange peel ... a delicacy that will very possibly leave you wanting a little bit more! Finished with your personalised message card, and beautifully wrapped in cellophane with a hand tied satin ribbon, this delicious nougat slice makes a wonderful gift and treat. Contains nuts, peanuts, milk, lactose, soya, egg white.